New research reveals that building an emotional connection and cultural immersion are very important for the modern-day globetrotters. Lifespice finds out how luxury hotels are stepping up to the changing rules of holidaying. Fairmont Hotels & Resorts recently published a research titled the LUXURY INSIGHT REPORT: Stewardship of Iconic and Historic Buildings, focusing on the present trends dominating the world of travel. This inaugural edition reveals that the “New Luxury” in travel is determined by the psychological connection to the destination, emotional fulfilment and cultural engagement for the most part. Modern-day globetrotters want to visit hotels that have the ‘X’ factor when it comes to vacationing. They want to stay in a hotel/resort where they can explore the locality and experience a connection with themselves, both emotional and spiritual. They are looking beyond luxury and comfort and want to stay in historic properties offering real adventures. “Luxury guests are not only looking for warm and engaging service when traveling to world-class destinations, they are also following their hearts,” said Jane Mackie, Vice President, Fairmont Brand. The report merges research and opinions from varied sources, including a brand-first study of people and cultures conducted by Weinman Schnee Morais Inc. and data derived from market research firm YouGov. 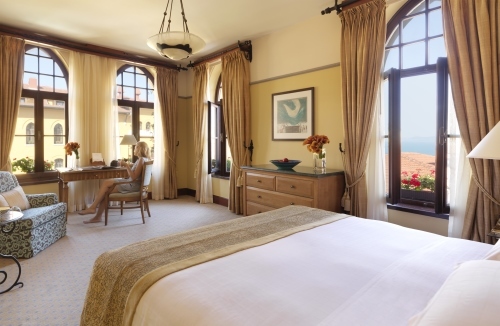 The report specifically mentions that historic hotels offer unique and individualized emotional benefits due to the special essence of its historic value and guests are able to form a spiritual and an emotional connection. More and more elite travelers are looking out for experience-consumption over material goods and services and seek unforgettable memories over luxurious travel. This chain of hotels is present in some of the world’s most stunning yet lesser known locations. They offer an opportunity to guests who want to indulge in a world of out-of-the-ordinary experiences such as discovering the birthplace of Buddha at Banyan Tree Ringha, located in Shangri-La valley in China. 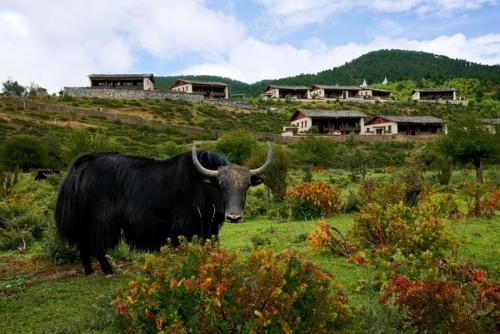 This specific hotel was renovated from old Tibetan farm houses and over 100 years of history has played out within its doors. Local Tibetan guides offer tours of many holy mountains, rivers and natural spring water fountains, which are only known to local Tibetans. The exclusive island-resort Banyan Tree Vabbinfaru, home to the first resort funded Marine laboratory in the Maldives, is also the first Maldivian government recognized member of the Sea Turtle conservation program. The marine lab recently released their 400th Green Sea Turtle into the Indian Ocean and is home to 150 different species of fish. Its sister resort, called Angsana Ihuru, organizes special 24-hour dive event on the 35th of April to honor the memory of the Rannamari shipwreck, which sank on the resort’s house reef in 1999. Four Seasons has gone to great lengths to enhance guest experience and offer a variety of opportunities to explore the local culture. For example, Four Seasons Hotel Istanbul at Sultanahmet was home to a neo-classical Turkish prison in its time. The rooms are designed to maintain the authenticity and cultural significance of this great city’s history. The high ceilings and domed portals are trademarks of Ottoman architectural style. The marble bathrooms are accessorized with conventional flat-woven rugs (kilims) and mosaic detailing. With packages that include visits to local attractions like Spice Bazaar, Hagia Sophia, Blue Mosque, Topkapi Palace and more, Four Seasons gives the guests a chance to experience true Istanbul traditions. Meanwhile, Four Season Hotel Bahrain Bay allows its guests to go back in time and experience the age-old practice of pearl hunting, which was Bahrain’s main export before they struck oil. Alila Manggis allows tourists to witness Candidasa’s exceptional natural beauty, rich heritage and culture, and wellness traditions through its wonderful Alila Experiences. 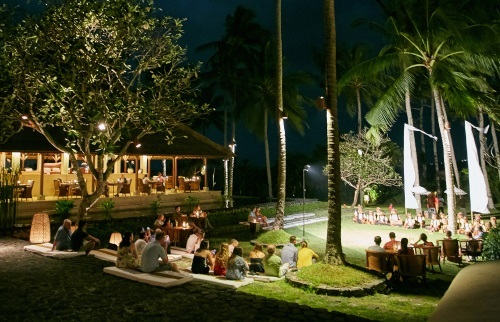 Its Seaside Theatre is where evening performances of East Bali’s unique performing arts are held two times a week. Several adventures also await the guests of Alila Manggis through East Bali’s iconic landscape and seascape. In the rainy season from April to November, guests can partake in a 42km crud to mud mountain bike ride that takes them through various villages, plantations and the forested slopes of Mount Agung. Guests can rent a Jukung, an old-school wooden boat, from the resort and head out on the sea to witness the most beautiful sunrises and sunsets over Mount Agung. Alila Manggis also has a unique Balinese Healing Treatment that offers guests a chance to experience the conventional healing practice of Bali Usada. This practice merges naturally available herbs and spices, holistic therapies and the ancient wisdom of Balinese healers. Jumeirah Port Soller Hotel & Spa offers guests many ‘Unique Experiences’ that give them a taste of Mallorca’s special culture, cuisine, wildlife, natural scenery and locally produced food. Guests can book heli-hikes, Harley Davidson tours and private speedboat trips. The helicopter ride involves 20-minute air time followed by a hike along Mallorca’s most stunning costal trails to a secluded cove. The trip ends with a swim and lunch before the guests are taken back to the hotel by a speedboat. Adventurous guests can experience the island’s charismatic beauty riding a Harley Davidson through the Tramuntana Mountains. 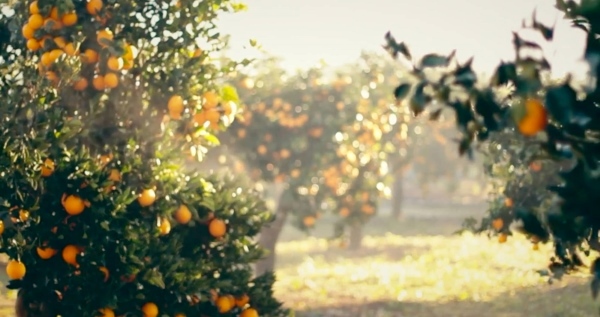 Food lovers can visit the nearby orange co-operative to get hands-on experience at marmalade-making or hike to the scenic town of Banyalbufar, including wine tasting en route. People interested in bird watching can take a guided 2 hour walking tour around the northern coast of Mallorca, a UNESCO World Heritage site. A lot of native and migratory birds flock at this spot. The Jumeirah Port Soller Hotel & Spa is built on a cliff overlooking the fishing town of Port Soller, and boasts of 121 sea or mountain facing rooms and suites. All these rooms are connected via wonderful scented gardens and offer majestic views of the most scenic horse shoe bays on the island. Clearly, hotels are no longer just offering stays with buffets and spas but taking charge of planning every hour of their guests’ holiday. Do tell us how you like to vacation in the comment section below.